Winter is rainy season in southern California, and this past weekend continued that theme. A storm system from the Pacific Ocean brought heavy rain and mountain snow to the region Saturday night. 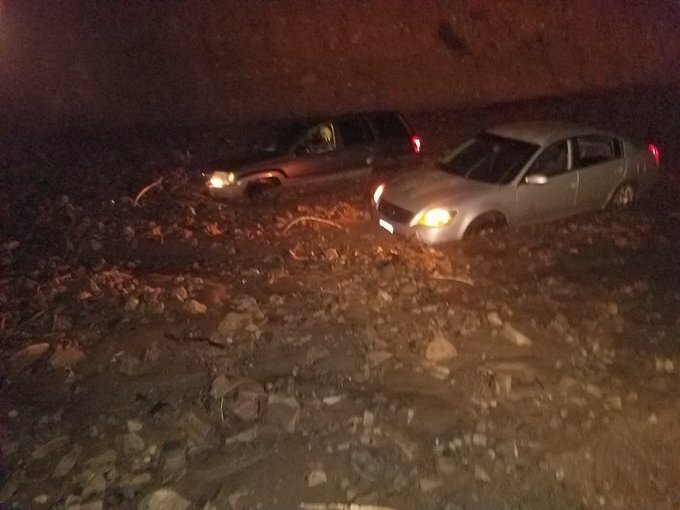 Rainfall totals exceeded 1.5 inches in many locations, and one location in the Santa Monica Mountains recorded nearly 0.75 inches of rain in a single hour. Since the heavy rain fell in areas that were charred by wildfires late last year, mudslides were reported, which forced the closure of portions of the Pacific Coast Highway and buried cars underneath a cascade of mud. The rapper Soulja Boy found his car buried beneath four feet of mud Sunday morning. A break in the rainfall is expected in southern California for the rest of this week, but another system will threaten the region with rain and mountain snow this upcoming weekend. Longer-range models show an active pattern continuing with multiple storm threats over the next two weeks.